Perhaps you just picked up a shiny new HTC One (M8), or another Android powered device that for whatever reason does not have its own file manager. It is kind of hard to believe that such a feature is not part of the user experience with some skins used on top of the Android operating system. Devices like the LG G2 come with a pre-loaded file manager and it is up for the task. Since that device does support microSD card storage, file management is easier to manage. With Android 4.4 KitKat though, SD card storage is not as accessible. These apps, when applicable can help you “manage” what is there, but unless your device is rooted, you may not be able to move any files there. At least you have a way to see how things are organized though. To make changes you will likely still need to connect your microSD card, or smarphone to a computer. In the meantime, check out 6 nice looking file managers available for Android. As you might imagine, there are dozens and dozens to choose from. They all have something to offer, so at least let this serve as a starting point in your search for the perfect file manager. ES File Exporer File Manager is another free option that will also integrate with your preferred cloud storage provider, FTP client or server. All features are accessible across your Wi-Fi or cellular network. Unlike ASTRO, ES File Explorer supports OBEX and SMB support without any add-on needed. ES File Explorer also supports users that have rooted their device and it even features a task manager. This app has nearly three-quarter of a million reviews and has a rating of 4.6 stars. ASTRO File Manager with Cloud is fully featured, and it is free thanks to in-app ad support. It will also connect with your cloud storage provider of choice, whether it is OneDrive, Google Drive, Box, you’re your pick. You can upgrade to ASTRO File Manager Pro, which is a key that removes the ads for $3.99. There are also add-ons you can incorporate into the file manager such as a Bluetooth module to support OBEX FTP, and an SMB module which adds support for Windows networking and allows browsing of Windows or SAMBA servers. What Clean File Manger lacks compared to ES or ASTRO, it makes up for with a very, well, clean presentation and intuitive interface. It is free with ad support, but a quick in-app purchase that “is less than a coffee” will remove them. Clean File Manager does not support rooted devices “at present” though it does support USB OTG. The developer’s web-site has a “Vote for features” section which gets feedback from users about what to add to the application next. 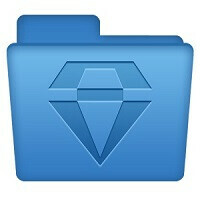 File Manager HD is optimized to emulate the latest design language with Android. It supports FTP, and networked file systems. It too will integrate with your favorite cloud storage provider, and even enable streaming of content from those providers. File Manager HD supports rooted devices and has its own gallery and text editor. It is ad supported, but a $2.99 donation gets rid of those, and when you upgrade devices, your donation follows you. FX File Explorer is pretty neat in that you can pinch-to-zoom in any explorer window and see additional information about items. The app is free and it has no ads, but there are “FX Plus” add-ons you can buy. The add-ons include media management, support for FTP/SMB, and cloud connectivity. The added features are $2.99. FX File Manager has a great user interface and is on the receiving end of some fond reviews. Arsen File Manager mixes a clean look with a traditional or familiar layout and solid functionality. It supports rooted devices which is a plus, but it keeps things a little more simple than other programs that are available. There is a text editor and viewer, and you can mark favorites to keep them easy to get to. It also provides a clean looking navigation path. You can hide, zip and unzip files, and search through everything. It is the best and it also has a cast feature. I don't see the overall point of file managers. You can view files on a computer via USB. I don't see the overall point of you having a brain. Try this one: Copy a .apk file downloaded with u'r pc to cell phone an install it. Why go through the process of using a computer if you can use your phone directly? And you don't always have access to a PC. The beauty of android is that u dun need a computer.. I like this one too. But unfortunately Samsung is turning into Apple and locking down their devices, so no root for us 4.4.2 Note 3 and S5 users for the foreseeable future. Agree. Solid Explorer for me too. Does anyone know of a comprehensive review of Android file managers? I've been happy with the one included with the Note 3, but wonder what else is out there. Only #HoloYolo. Clean file manger by gira.me and the CM built in file manager. badly missed es file explorer on my moto g ! ES File Manager is the best!!! Me too. I have tried many but only ES satifies me. Total Commander plus root. Nothing else is needed. Copying and moving to sd card working fine on my s5 using the touchwiz file manager and no root. Where is OI File Manager?